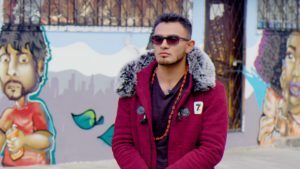 To mark the UN International Day of Peace on September 21, the Bloods of Ibarra, Ecuador made a music video that celebrates how peace education inspired them to transform into a force for good in their community. Although the group still identifies as the Bloods, they are no longer engaged in criminal activities like some of their contemporaries in other cities who claim membership in notorious global gangs. About five years ago, sparked by TPRF’s peace education workshops, these youths embarked on a different path, relinquishing their weapons and lawless behavior in favor of productive activities and community improvement projects. 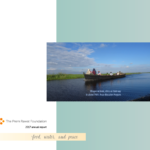 The multimedia Peace Education Program (PEP) sessions are based on excerpts from Prem Rawat’s international talks and are designed to help participants gain an inner sense of strength, dignity, hope and contentment. Coming at a time when they were at war with another gang, members of the Ibarra Bloods say the workshops had a profound impact on them to stop fighting. Prem Rawat also met with gang members in person, offering further inspiration to chart a new course. Now the Ibarra Bloods have become positive role models in their impoverished neighborhood of Alpachaca, receiving praise from the mayor and regional leaders. 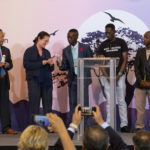 They have presented peace education workshops at local schools to help others avoid the mistakes they made, and for two years they produced their own program on National Public Radio Ecuador to inspire youth across the country to follow their peaceful example. With the support of local authorities and their neighbors, the Ibarra Bloods recently opened the CultivArte Center, a community gathering place in Alpachaca where they can offer workshops in peace education, job training, music, dance and creative arts. “Now, we have the joy of working for the good. If you feel peace within, you can feel peace with everyone,” says Christina, an Ibarra Bloods leader. 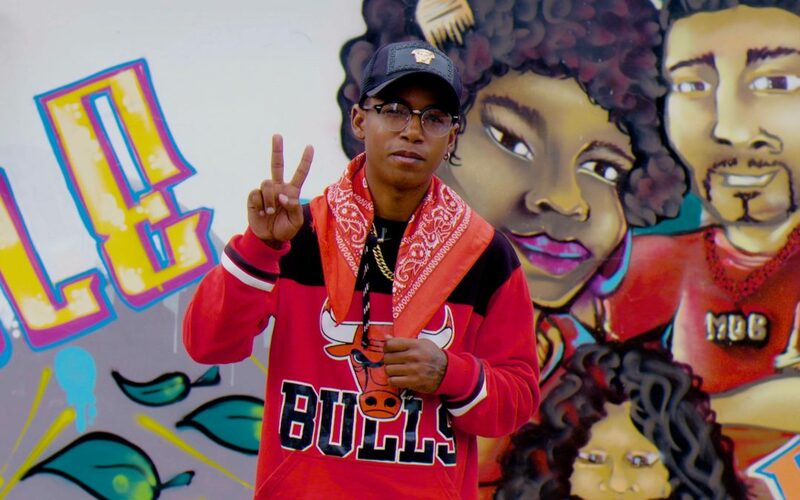 As their Peace Day video demonstrates, the group includes talented rappers, producers and dancers, who will only get better as they now have their own safe space to practice. 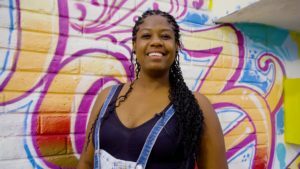 Their CultivArte Center serves as the backdrop of the video, covered in a newly painted graffiti mural that amplifies their hopeful message that “La Paz es Posible” (Peace is Possible). 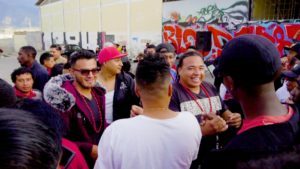 Putting their message into action, the Ibarra Bloods invited the Quito Bloods and their previous rivals, the Latin Kings, to join them in creating the heartening song and video. The message of their music and mural echoes that of Prem Rawat and a new London mural he worked on with world-renowned artist Ben Eine in response to a gang crime epidemic in the UK. The Bloods painted their mural in solidarity with everyone working in the UK and around the world to find peaceful solutions on Peace Day and every day. A feature documentary about the transformation of the Bloods, “Peace is Inevitable,” recently made its UK debut at a forum on tackling gang violence, and it’s their hope that their story will touch youth like them across the globe who are at risk of making bad choices. 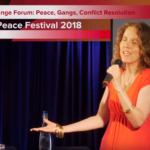 Previous TPRF Peace Day videos have received more than 10 million views, and the charity is hoping to reach millions more with the new uplifting message from the Bloods. Want to know more about the Bloods of Ibarra and how peace education changed their lives? After clicking "Sign up" you will receive a confirmation email. If you’re already subscribed to TPRF’s email list, there is no need to sign up. You will receive the special offer in your inbox next month. If you know someone who would be interested in the documentary who isn’t already subscribed, then send them the link to this page so they can signup by October 21!